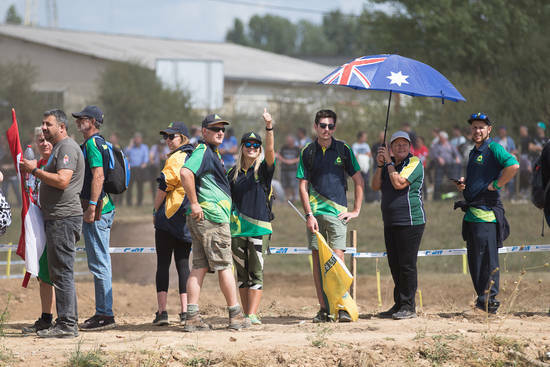 Physiotherapist, Jessica Smith from our Rosebud clinic, recently returned from France where she undertook the role of Physiotherapist for the Australian Enduro Motocross Team. Here, she gives us some insight into the role that a Physiotherapist plays in an intensive event like motocross. 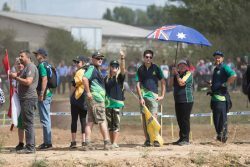 I recently had the absolute privilege of being the physiotherapist for the Australian Enduro Motocross Team who competed at the 2017 FIM International Six Days Enduro (ISDE), held in Brive-la-Gaillarde, France from 28 August to 2 September. 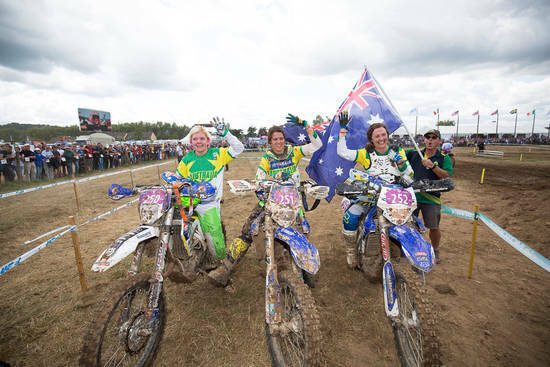 Ten riders made up three Trophy Teams, who competed against 32 rival nations, representing Australia at the highest level in Enduro and Off-Road racing. I can not thank Jon, Simon and the whole AORC/MA team for giving me this opportunity, of which I am still absolutely buzzing from. Firstly a huge congratulations to the now 5x world champion Aussie Women’s team finishing 1st. The Aussie senior male team finished second, putting in huge efforts throughout the week. I have such admiration for the riders and what they put their bodies through over the six day event. My role during the week was assisting the 10 riders in getting their bodies ready for the six day event, including advice and education regarding stretches, nuero-muscular enhancing exercises and providing manual therapy techniques most commonly to their thoracic spine and hips. Once the event begun I was also assisting the riders with basic first aid and managing any injuries sustained during the day. Jess Gardiner was unlucky enough to sustain a fracture through her proximal phalanx in the first test of day one. She rode out the week with a displaced fracture. Management including making 2x thermoplastic splints, wound cleaning and pain management. After the event Jess went on to have surgery. Other injuries included a rock to the clavicle, thoracic jarring secondary to heavy impact into tree, contusion over tibia, general skin abrasions and general LBP and hip flexor tightness. The race days involved 5:30 am start for breakfast and rider prep involving mostly supportive taping to shoulders, knees, ankles, wrists and blisters. Then from 8am the day was spent driving from checkpoint to checkpoint to further manage the riders injuries during the day before getting back to the finish. Post race at the hotel was hands on therapy and guidance through mobility drills. This was completed from 4pm through to 10pm each day over the six day event. I honestly loved every single minute and regained so much passion for physiotherapy. As time consuming as volunteer work can be, I would highly recommend it because the experience is invaluable, it gives you motivation to be better as a practitioner and feels good to get outdoors and amongst the action.